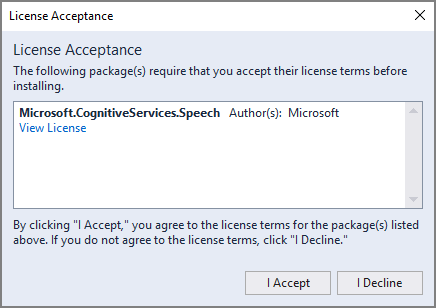 In this article, you create a C# console application for .NET Core on Windows or macOS by using the Cognitive Services Speech SDK. You transcribe speech to text in real time from your PC's microphone. The application is built with the Speech SDK NuGet package and Microsoft Visual Studio 2017 (any edition). .NET Core is an open-source, cross-platform .NET platform that implements the .NET Standard specification. Make sure the .NET cross-platform development workload is available. Choose Tools > Get Tools and Features from the Visual Studio menu bar to open the Visual Studio installer. If this workload is already enabled, close the dialog box. Otherwise, select the box next to .NET Core cross-platform development, and select Modify at the lower right corner of the dialog box. Installation of the new feature will take a moment. 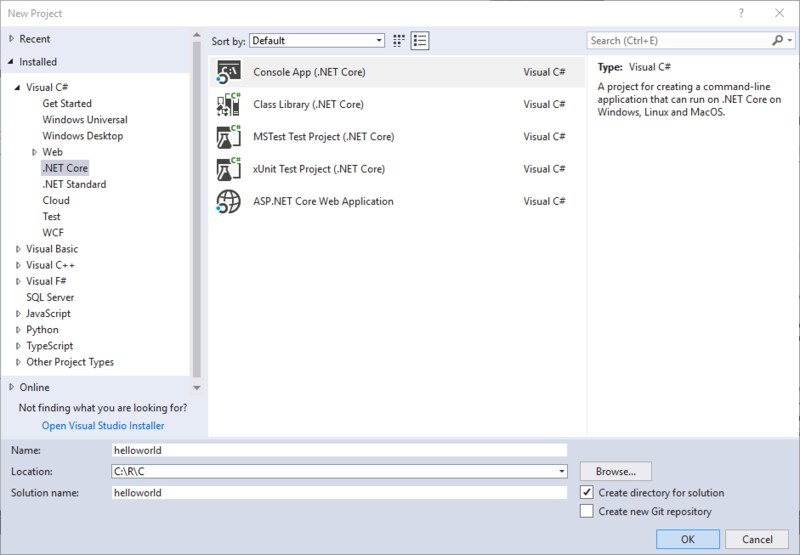 Create a new Visual C# .NET Core Console App. 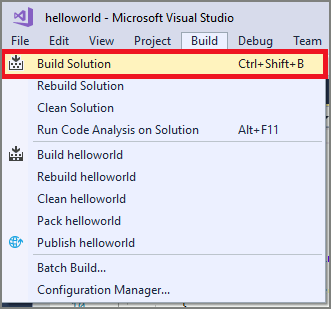 In the New Project dialog box, from the left pane, expand Installed > Visual C# > .NET Core. Then select Console App (.NET Core). For the project name, enter helloworld. Install and reference the Speech SDK NuGet package. 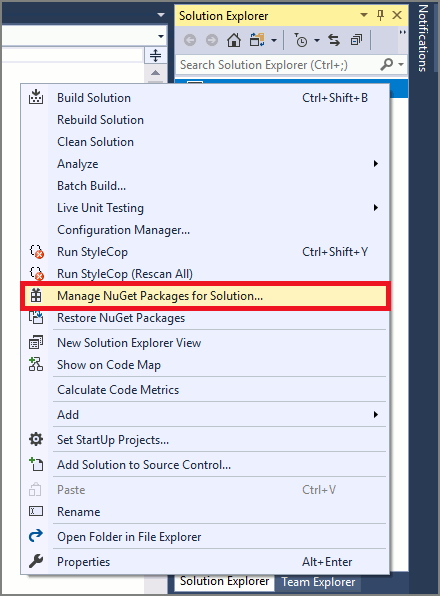 In Solution Explorer, right-click the solution and select Manage NuGet Packages for Solution. In the upper-right corner, in the Package Source field, select nuget.org. Search for the Microsoft.CognitiveServices.Speech package, and install it into the helloworld project. Accept the displayed license to begin installation of the NuGet package. After the package is installed, a confirmation appears in the Package Manager console. Open Program.cs, and replace all the code in it with the following. // Creates an instance of a speech config with specified subscription key and service region. // Replace with your own subscription key // and service region (e.g., "westus"). // seconds of audio is processed. The task returns the recognition text as result. // shot recognition like command or query. // For long-running multi-utterance recognition, use StartContinuousRecognitionAsync() instead. Save changes to the project. Build the application. From the menu bar, choose Build > Build Solution. The code should compile without errors. Start the application. 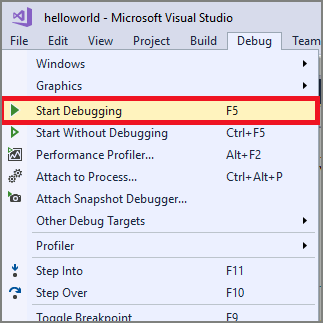 From the menu bar, choose Debug > Start Debugging, or press F5. A console window appears, prompting you to say something. Speak an English phrase or sentence. Your speech is transmitted to the Speech Services and transcribed to text, which appears in the same window. Additional samples, such as how to read speech from an audio file, are available on GitHub.